Taylor Swift’s love life is a guessing game. Cooking pasta is not. 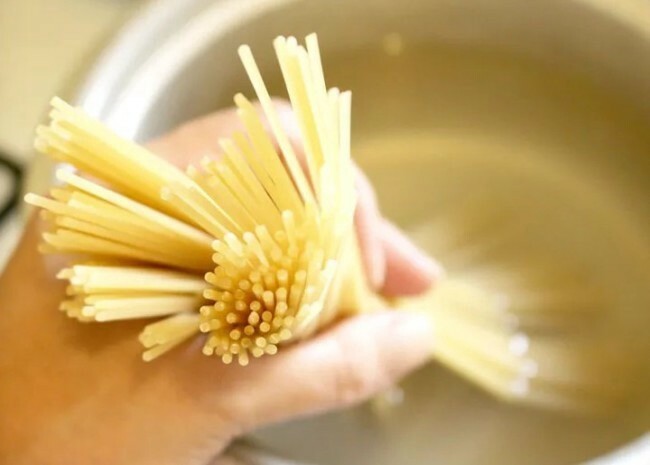 Pasta is the easiest standby meal out there because it’s easy, delicious and the carbs dont’ have the negative effect on your waistline you always thought. The only problem is measuring the portions — I tend to just grab a handful and hope for the best. What I tend to get is either a meal fit for ants or a feast for 23, never anything in between. Sure, you could buy a fancy tool for $7 from Crate & Barrel — but you’ll probably forget to use it every time because it’s lost somewhere in the back of a drawer. 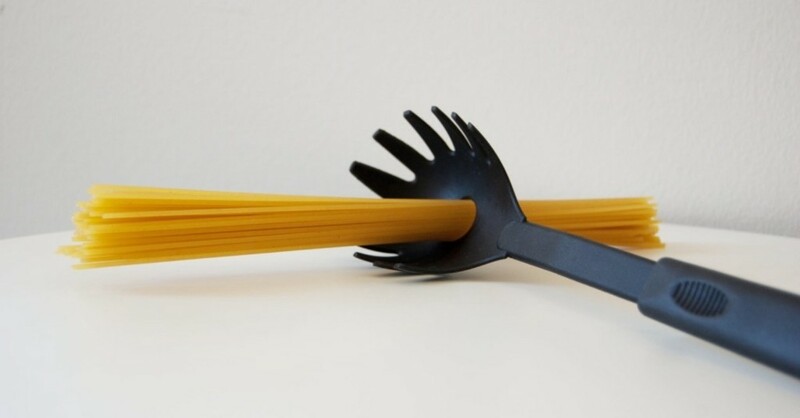 OR, you could just use your spaghetti spoon. 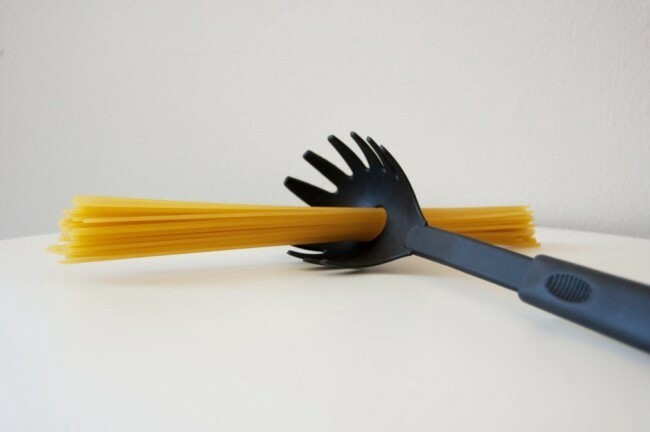 Yep, the weird hole in the middle of your mixing spork is made to measure out one serving of spaghetti. Finally, a way to cook your pasta in personal-sized peace! While all sporks aren’t uniform in size, something is deinitely better than nothing when it comes to portion control — even if I don’t necessarily believe in the USDA’s recommended serving size of half a cup.